What Is The Hardest Painting Style? What is the hardest painting style? A very common question, especially amongst those who are just starting out with painting. It is a strangely difficult question to answer. On first thought, most people would be quick to say realism or hyper realism are the most challenging (as many people tend to think the primary goal of painting is to create something that looks just like a photograph). Personally, I think this is a silly question but it does raise an interesting discussion. Every style of painting is challenging in different ways. I am timid to say one style of painting is more difficult than another, especially if I do not practice all styles. So let's go through some of the major styles and discuss the challenges of each. At the end I will give my modest thoughts and then we can discuss more in the comment section at the bottom. In realism, the subject is portrayed with great accuracy and detail. The challenge with realism is hitting a high level of accuracy without the painting appearing overly tight or refined. 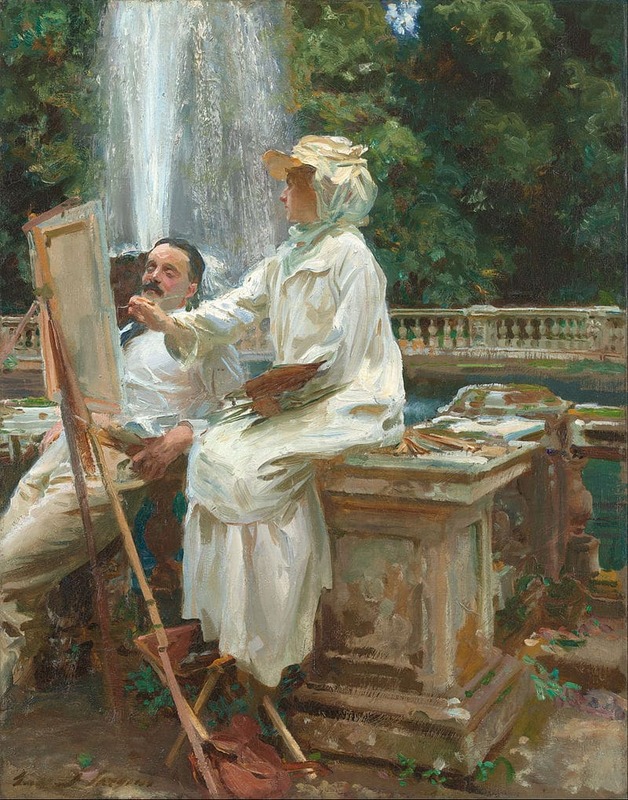 The first master that comes to mind when I think of realism is the great John Singer Sargent (though I believe there may be some argument he had a touch of an impressionistic style). He is most famous for his portraits, but his landscapes are equally skilled in my opinion. The interesting thing about Sargent's painting style is that whilst his paintings appear incredibly realistic and accurate, you can still see very visible strokes and broken colors in his paintings. He had a very painterly style, which resulted in the paintings appearing natural yet incredibility accurate. 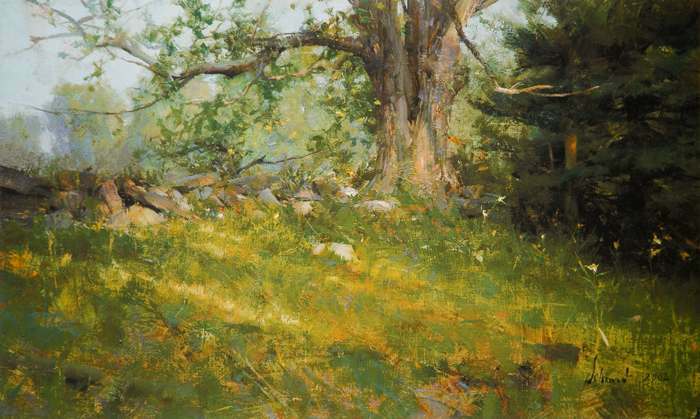 Another realism master is Richard Schmid. He is a painter's painter, with incredible talent at rending both portraits and landscapes. He is easily one of the top painters of our time. Hyper-realism and photo-realism styles are extremely popular in the current environment due to the “WOW it looks just like a photograph” response it gets from people. These styles garner huge attention and praise from the public, but not necessarily other artists. For those who do not practice painting, hyper-realism and photo-realism are often considered the most difficult due to the wow factor. Personally, I am not a huge fan of spending hundreds of tedious hours trying to get the perfect color and perspective in a painting. I have no care if a painting looks exactly a photograph. I paint because I like painting and if I wanted to create photographs, I would pick up photography. With that said, I do try as accurately as possible to capture the general colors, values and composition without getting bogged down in needless detail. I am trying to capture the essence of the scene rather than perfectly replicate the scene on my canvas. I am not questioning the skill of hyper and photo-realist painters. If anything I admire the unbelievable accuracy and patience required. But you need to paint to your strengths and interests. Abstractism is very polarising in the art world as it is often at the centre of ridiculous painting valuations driven by large art conglomerates (i.e. a painting with a red stripe down the middle going for $40 million plus). However, abstract art is also considered by some to be the most challenging due to the lack of rules and definitions. To me, abstract art is defined by the overall feel achieved by the painting and I certainly appreciate the talent of those able to create great abstract art. However, it would be difficult to argue many of the abstract paintings are technically challenging, especially the very minimalist abstract paintings. At the peak, abstract painting can be extremely thought provoking. 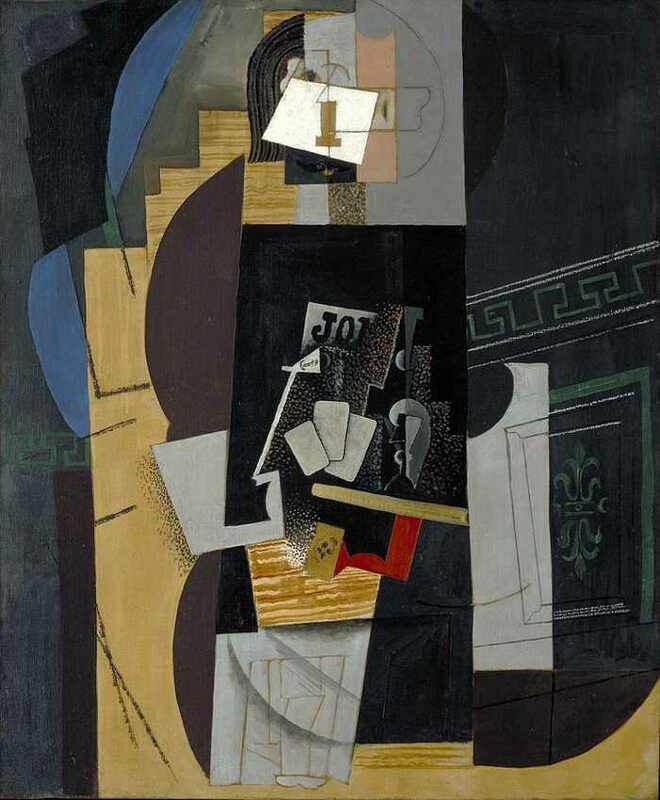 Just look at some of the great Pablo Picasso's abstract works he created in the later part of his career. At worst, abstract painting can be nothing more than simplistic designs on canvas selling for exuberant prices on the basis it is something more than it really is. Impressionism is my personal favorite. Whenever I try to paint realism, I feel unsatisfied by the tedious detail which is required and I slowly progress back into impressionism. I love the challenge of merely capturing the essentials in a scene and ignoring the needless details. This can be a difficult task, as it is easy simply miss the mark. Too much detail and you will have a confused and tight painting. Too little and you start verging into complete abstract territory. At best, impressionism combines amazing use of color and value in beautiful harmony, without needless detail. At worst, impressionism could be used as an excuse for sloppy technique (I certainly have been guilty of this in the past). The issue with impressionism is it can be misunderstood by those who do not practice art (usually the same people who praise hyper and photo-realism). Even when the impressionist movement started it was met with great criticism by a community more accustomed to realist styles. However, most artists will appreciate the difficulty of impressionism. The great impressionists will use simple techniques to give just hints of form and movement which come together in beautiful harmony. Most of the work is left to the viewer's imagination. I want you to picture a stormy seascape that you want to paint. Most people will try to paint exactly what they see in the seascape. The dark contours, the bright highlights hitting the tops of the water and the snaking lines of foam on top. But what if instead you tried to create the feel and emotion of the stormy scene without care for the accurate visual portrayal of the scene. This in my opinion is very difficult to achieve. Most of the time you will end up with a mess of colors on the canvas with no real harmony. But if you get it right, then people will know what it is just from the overall feel of the painting and the subtle hints left behind. But if you look closely, it would not look exactly like the scene you have painted. Surrealism is really in a field of its own in terms of creativity. It is completely unbound and challenges conventional wisdom. Surrealism is not necessarily characterised by technical proficiency, but rather the aim is to be mentally challenging. 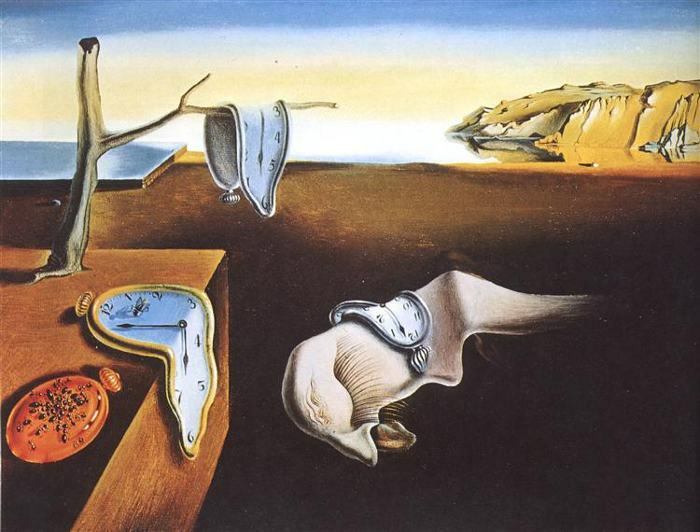 With that being said, many of the famous surrealist painters were extremely talented in terms of painting technique, such as Salvador Dali. Nope. At the end of the day, you should not be aiming to paint in a certain style and it does not matter which is harder. If you are just starting out in painting, you should focus on painting with accurate values, colors and perspective. You should learn how to compose your paintings and the many techniques available to communicate your statement through the painting. This is all irrelevant of style. Once you have learnt these skills, you will have more flexibility with how you paint. Do not be fooled by generalisations that abstract painting is not difficult, or that realism lacks creativity. Just focus on the fundamentals and then you will have the freedom to paint as you feel. The reason I originally wrote this post was to challenge the common perception that the primary goal of a painting is to create something that looks like a photograph. In my opinion, that should be the last thing you are trying to do. In my humble opinion, I believe realism and impressionism to be roughly on par as the hardest styles to master. Realism has the edge as far as technical difficulty, but impressionism has the added difficulty of capturing the essence of the scene without over or under doing it. Both styles have an aim of faithfully rendering what you see and are great styles for beginner painters to look towards. But with that being said, this is just personal opinion and really it does not matter. Just try not to get caught up in painting a particular style. Just focus on the basics and progress from there. Now over to you. What do you think is the hardest painting style? Or do you think it is just a silly question which does not warrant an answer? Please share in the comment section. (Note: there is no right answer). I don’t agree with the idea that it’s a stupid question. I’ve always stood on the idea that the only stupid question….is the one not asked. That being said…. your opinions on the actual question is valid and I think one every *new* artist wants to understand. I believe the question itself is founded on, the struggle each one of us deals with. .. the *am I good enough to even be considered an artist* and the thought that we all wish to achieve respect not only amongst our peers but of people who don’t paint as well. While, they all have their challenges, abstract and expressionism is the hardest to do well in my opinion. Most people think that it does have rules and definition and that would be wrong. The rules are just different and when it does break the rules, it has to be successful. Abstraction has a beauty of it’s own- look at Alma Thomas’s work. She was part of the Colorfield movement. 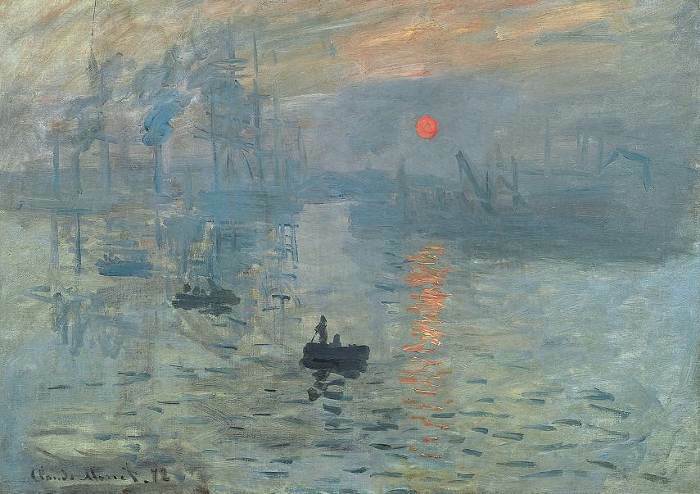 She painted light like Monet, but it was through her window looking out into her garden. There are amazing abstractions- and what is abstract? In away all art is abstract because you converting a three dimensional object onto a two dimensional surface- or does it even exist? Everything is drawn from somewhere, or something; it’s a matter of how to convey it well. How do you convey an idea? A thought? A feeling? I think, realism, and photo-ultra realism requied master skills (this is hardest style). Off course i don’t think about copy-painters. You made a good point about it. I fully believe you should follow your own drive in your paintings or you may loose yourself in trying to make the buck. I am a mixed media artist and absolutely love it because there is so much freedom is getting to your final painting. I get lose in it just enjoying the processes. Thanks for the food for thought. I agree with you and that’s even with the fact that I paint realistically. I have always struggled to paint loose and free. One day a hairdresser told me something that I was able to apply to my art as well. He replied to my question about making my curly hair behave “why fight what you are! Go with it.” So I do. My favorite style is Impressionism even if I’m not able to stop myself before I get into the details. I started out doing highly accurate realism in watercolor but it didnt have the “feeling” i wanted so I switched to doing looser, more impressionistic paintings in oils… Found it much harder but much more enjoyable. Creating is always challenging.I agree with you. Impressionism with the right strokes with right colors are quite a challenge. I would say abstract is also equally challenging to create an idea with emotions. Creating a photocopy is no no for me! Thank you for this article. I’m new to painting and often struggle with the idea if what I do is good enough. And it’s simply done because I’m comparing my work with what the public thinks to be talent. Each of us have very different styles and skills. I think if you enjoy what you create and continue to strive to improve. You should hold your head high and be proud of the gift you have because honestly it’s just as unquie as you are and how can you put a price on that or allow those who don’t possess your unique gift to critique and very often criticize because it’s not of their liking. I’ve learned a very valuable lesson in my growth as an artist. There’s a buyer out there for everything we artist create. It’s just the matter of the two of us meeting. The question posed was if it’s a stupid question in itself. I think it may be a question artist need not ask of each other. The general public on the other hand will continue to ask questions like this regardless to what your chosen field may be. The question needs to be turned back to them. What do they think is the hardest style? It could be that they aren’t educated enough about the arts and perhaps that’s our job as artists. Rather than cringe with every question look at it as an opportunity to inform and educate. You never know you might even turn the asker into a admire of your work ? I love impressnistic style and am practicing it as well. I agree with you in many points. Photorealism is a skill one can master in time spent, and is easier to be admired. On the other hand, one can paint with feeling or emotion and be able to evoke and/or communicate with viewer, that is the hardest skill to achieve. It is a lifelong practice and I am still learning! I think Impressionism is very difficult I love this style of painting and it’s something I’m practising on. Hyper realism is hard but I feel only in a way that it takes hours & hours of concentration & a dedication to be precise. Love the line, “…if I wanted to create photographs, I would pick up photography.” I was just sharing this idea with a fan yesterday. Not to ever take anything from any “artist”, I prefer the difficulties in abstract and impressionism. I always tell my art students “if I wanted the painting to look just like the photograph than just hang the photograph”. This really relaxes them knowing there is no expectation that the painting will look just like the photo. Becoming a better artist is so much about confidence, determination and lots of trial and error. Every painting I create is influenced by my negative self-talk and believing I will never paint another “great” painting. Becoming a better artist is possible if I ignore my self-talk, push through that “hate this painting” phase and relax. If I let go of my expectations and what critics would think, then most of the time I end up with a painting I’m proud of! I feel at the moment modern art and abstract are popular at the moment.Modern art I mean impressionist.I mix it up, I like all types of painting.I have been selling all types of art,not for a lot of money but it pays for materials.So Im happy painting and its a bonus when I sell a painting. I’m with you I think all styles have there own difficulties. I admire Van Goghs colors and textural brush strokes. Michelangelo’s sculptures that you would swear are breathing, Carol Nelsons textures and structures and Rita Kirkmans capture of light. These artist are my hero’s. I’m a portrait painter by NATURE so I’m a realist. However, I strive all the time to do abstraction, to “loosen up”, I like it , I’m drawn to it, although I can’t explain why. Someday I hope to merge the two. I would paint however even if nothing ever sold. My husband says I can’t help myself. Well, most photographic paintings are actually traced or projected from paintings – so no great skill there. Capturing emotion and atmosphere is a much greater skill I believe. If it looks like a photo, it may as well be one. I couldn’t agree more. 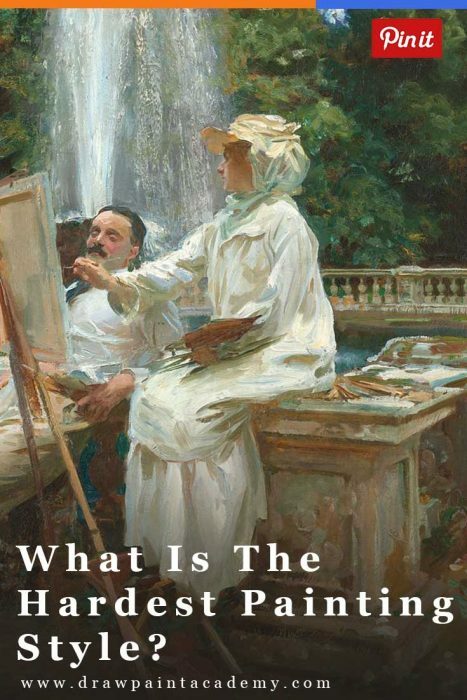 While I also appreciate the skill and patience of realists, I think it is far harder to be expressive and balance all the elements needed to create a successful impressionist (or even expressionist) painting. I also think a well done abstract is completely difficult. People often think “oh I could do that” towards art which is abstract or has a childish quality, yet try to draw like a child after learning how to draw as an adult, or create an abstract painting which is pleasing to the eye, but also has emotion. In impressionist works, figuring out how and where to lose edges, merge values, push colours, etc. is far more difficult than faithfully following a photo reference to a t.
Wow… So very thought provoking. Well, for me, a successful painting is one that brings about an emotional response whether in the observer or the painter no matter the style, subject or overall intention of the work. Paintings can be utilitarian or “just a pretty picture” or a an “exercise.” Being that beauty is in the eye of the beholder, success is often temporary in the public eye. People are fickle. Popularity rules. The emporer often has no clothes. The artist must first find what moves him (or her) before he can move other people. Can you please credit the artists whose work you are posting. I have seen some of them before and I am sure the artists would appreciate it. The painting at the top is by Alyssa Monks. I referenced to her during the article. I will make it more prominent. As far as any other paintings which I do not clearly state who created the work, it is most likely because it was a famous painter from many eras ago who have now passed. But with that being said, I will try give reference to those paintings also. Thanks for the great comment. I will definitely start naming the famous paintings in the future. I agree with everything you said. Personally I find highly accurate realism quite easy, although tedious. It’s not that hard to copy exactly what you see down to tiny brushstroke detail once you develop the appropriate level of skill. What’s really hard is abandoning the desire for accuracy in representation and developing your own language that abbreviates, emotes, expresses and delivers extras that only exist on the two dimensional surface of your painting. That’s hard! Hi Michael. I completely agree. Though I am not confident to say it is easy but I completely understand what you mean. I personally do not seem to have the patience for realism painting and I am jealous of some of the great realists. However at the end of the day, just painting regardless of style is what matters. Thanks for the comment! Thanks for the question Dan, It certainly evoked some interesting response. My feeling is that some styles come easier to others. I find realism difficult, not because it is so challenging but because it is tedious and time consuming. I paint for relaxation and enjoyment so a painting has to proceed at a certain pace for me to feel good about it. So I prefer an impressionist approach, that is converting emotion into paint with out bothering with too much detail. Normally I have a yellow or green day, but lately I have been hitting the darks! Thanks for the comment Norm! I certainly agree with you. I’ve been trying to tackle those annoying greens lately. Yes greens are a worry. By the way, I read about a Russian artist who lives in Vanuatu who paints in nothing but yellow! If I find it again I will send it to you. There is hope for us all….